Thu, Nov 8, 2018, 08:25 pm SL Time, ColomboPage News Desk, Sri Lanka. 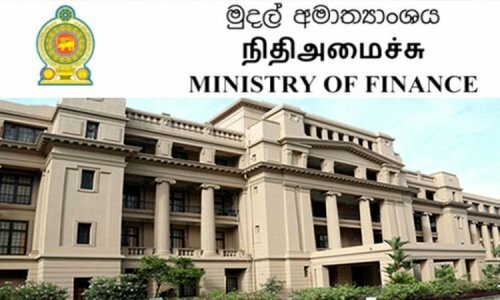 Nov 08, Colombo: Sri Lanka's Tax Appeals Commission (TAC), which has been inactive for some time, has been reactivated, the Ministry of Finance and economic Affairs said. The Tax Appeals Commission (TAC) which has been inactive for some time has now been revived with the reappointment of Justice Hector Yapa as Chairman and Justice Sunil Rajapakse and Mr. S. Swarnajothi Former Auditor General as members by Prime Minister Mahinda Rajapaksa as the Minister of Finance and Economic Affairs. The TAC was established under the Tax Appeals Commission Act no 23 of 2011, to facilitate a more expeditious resolution of disputes that may arise between the tax payer and the Commissioner General of Inland Revenue (CGIR) or the Director-General of Customs (DGC) due to a determination on the imposition of any Tax, Levy, Charge, Duty or Penalty. Any aggrieved party could appeal to the TAC and TAC after having conducted the hearings on the appeals could deliver its determination either confirming, reducing, or amending the original determination by the CGIR or the DGC. At present there is about 264 appeals pending and it is expected that these appeals will be resolved with the revival of the TAC. The Finance Ministry said by activating institutions such as the TAC established to provide relief to the Tax payers in a more expeditious manner, it is envisaged that the ease of doing business climate in the country will also improve.